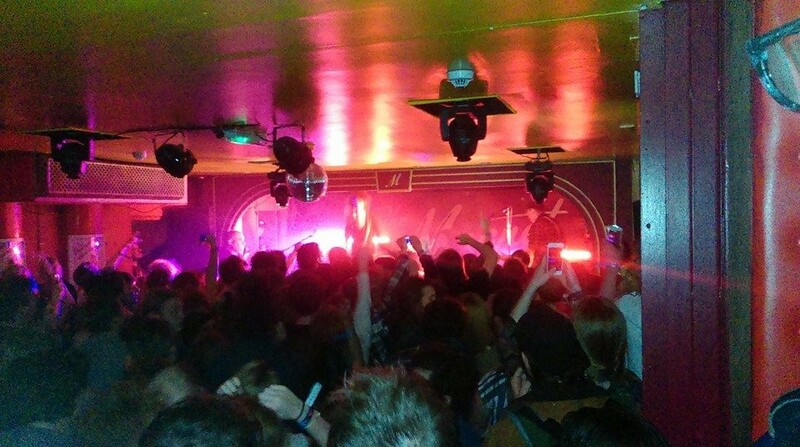 As Drenge performed a free show at the Magnet, Getintothis’ Tom Doyle was there to witness the carnage that ensued. For just over a month now ShortList has teamed up with Lynx (yes Lynx – the manufacturer of smells) to grant keen opportunists all over the country the chance to see a variety of artists at a number of locations with their 48 Hours to… series. All you have to do is register online, and 48 hours before the event starts the artist and venue is revealed, with free tickets being given away first come first served. Bands featured so far in the promotion have included Stereophonics, Gaz Coombes, Hurts, and unfortunately for some, Rudimental. 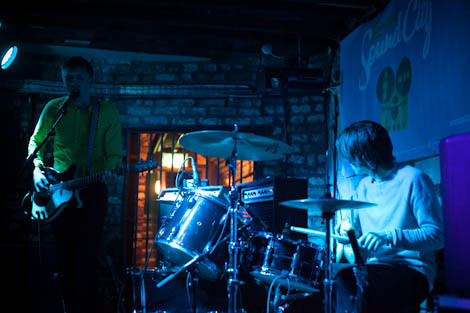 On a windy Thursday evening, tucked away in the modest surroundings of The Magnet, it was the turn of Drenge. The last time this writer saw the champions of contemporary grunge, they played to a packed out John Peel Stage at Glastonbury 2014, so being able to see them in a quaint, intimate setting at this stage in their career, was something truly special. The word special doesn’t cover half of it. The Magnet was full to the brim with eager, die-hard fans waiting to have their socks figuratively knocked off. The atmosphere was charged to say the least. As the Loveless brothers took to the stage, the wall of sound that greeted them was deafening. Kicking off with Running Wild – the opening track to their second album Undertow – the feel of the night was established early on. We were in store for pure unadulterated rock, plain and simple. 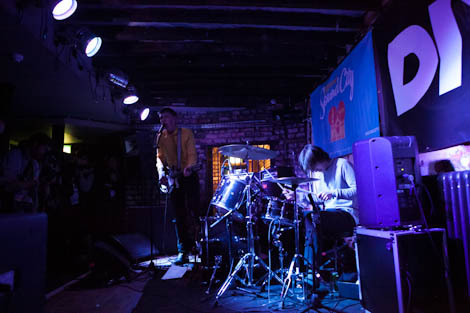 We remember reading one of Drenge’s early interviews in which they bemoaned the lack of mosh pits at some of their shows. Well, they needn’t look further than Liverpool on a cold Thursday night to fulfil that desire. When the rapid fire riff of Gun Crazy started, the omnipresent circle pit of the evening first took form, and continued throughout the night. As Side By Side began, the addition of bass player Rob Graham was justified tenfold. If he isn’t heavy-metally trained then he’s got us all fooled, his head was up and down more times than a whore’s drawers. As he laid the foundation of each track, it allowed lead singer/guitarist Eoin to focus purely on his melody making. After stellar renditions of debut album highlights Backwaters, Nothing, and I Want to Break You in Half, we were treated to Drenge’s first ever single – Bloodsports, a crowd favourite. After the sing-a-long melee that followed, Eoin’s drummer-brother Rory politely asked the audience “Would you like another one?”. The Magnet didn’t need asking twice. Before they even began to work out what was next, the crowd was already swinging their heads from side to side like a human metronome, as the jingle-jangle guitar of We Can Do What We Want set a precedent for the second half of the show. 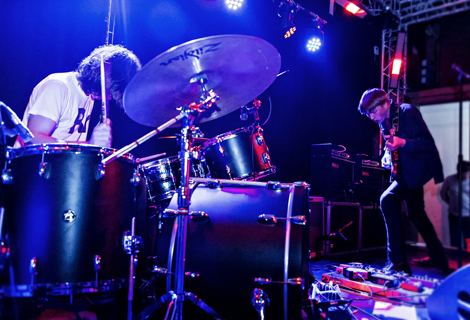 Fuckabout – closing track from their eponymous debut album – is a slow burner. Although the opening few minutes gave the mosh pit a brief chance to breathe, the break didn’t last long, and it was soon back to business as usual. Second album favourites Undertow and Never Awake were welcomed with open arms and legs from feverish crowd surfers. Rory, clearly the night’s spokesman for the band, then informed us that their next song would be their last. And what a last song it was. Let’s Pretend is an 8 minute grunge ballad that builds in intensity throughout. It’s a fantastic song that, although best heard live, is more than worth a listen on the album. It features a drum solo that would make John Bonham burst with pride, a feature which his brother Eoin pointed out as his personal highlight of the record. As the curtain fell, we were treated to the sight of Eoin diving head first into the crowd, having his hair ruffled more eagerly than a middle child at a christening. We might be wrong, but we can’t imagine any of the previous shows in the 48 Hours to… series having anywhere near the same level of atmosphere and intensity. It was a night to remember, for band and spectators alike.